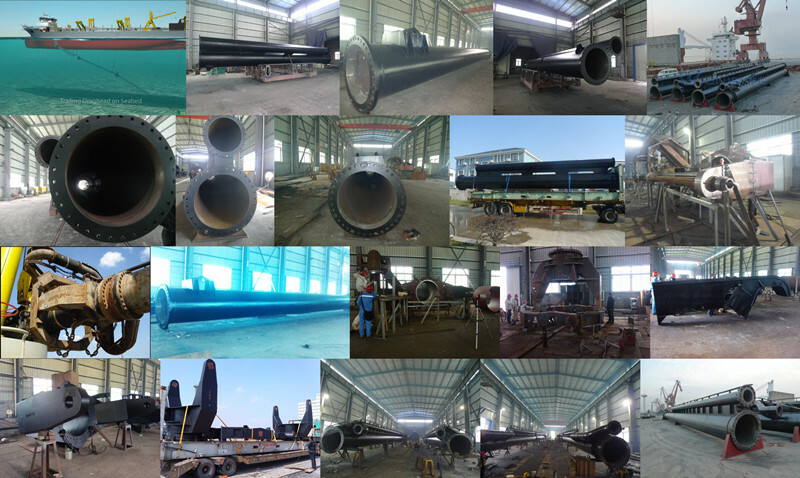 Product categories of Suction Pipe, we are specialized manufacturers from China, Dredging Suction Pipes, Suction Tube suppliers/factory, wholesale high-quality products of Suction Connecting Tube R & D and manufacturing, we have the perfect after-sales service and technical support. Look forward to your cooperation! Suction pipe system ensure full control of the drag head on the bottom, transport the dredge mixture to the hopper, then transmit the trailing force from the drag head to the ship and support pipes and cabling. The construction consist big suction pipes, Turning Gland, joint, jet line, Seamless Pipes, supports for cable and hoses, which are carefully manufactured and checked to ensure total length, straightness, symmetry within the specific tolerances. All fabricated steelwork used in the construction of the suction pipe will be to manufacturing standard of classification society BV, GL, LR, DNV, especially for neck flange.